The glycemic index is used as a measure of the effect a food will have on blood sugar levels. Foods with a high glycemic index raise blood sugar levels higher. Foods with a lower glycemic index have a lower blood sugar peak. According to nutrition experts, there are many benefits from eating more lower-glycemic foods, such as better regulation of blood sugar and appetite, both of which help with weight control. As a general rule, foods with a glycemic index under 55 are considered low-glycemic foods. Foods over 70 are considered to have a high glycemic index and consumption should be limited. There is some discrepancy as to the glycemic index of cauliflower, although most sources list it between 0 and 15. 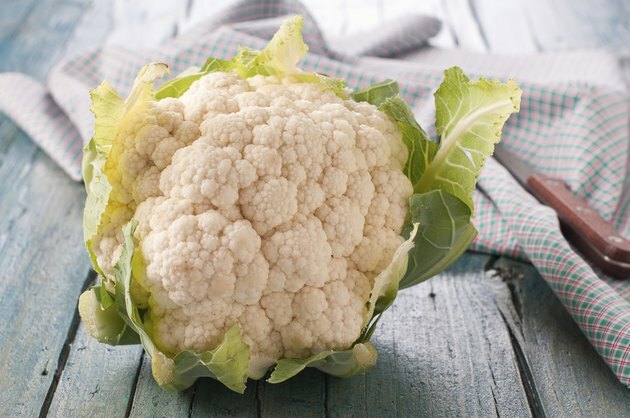 This makes cauliflower a low-glycemic index food. To put this in perspective, peanuts have a glycemic index of 14 and a baked potato has a glycemic index of 85. Pure sugar, in the form of glucose, is considered the reference point to which all foods are compared and has a glycemic index of 100.